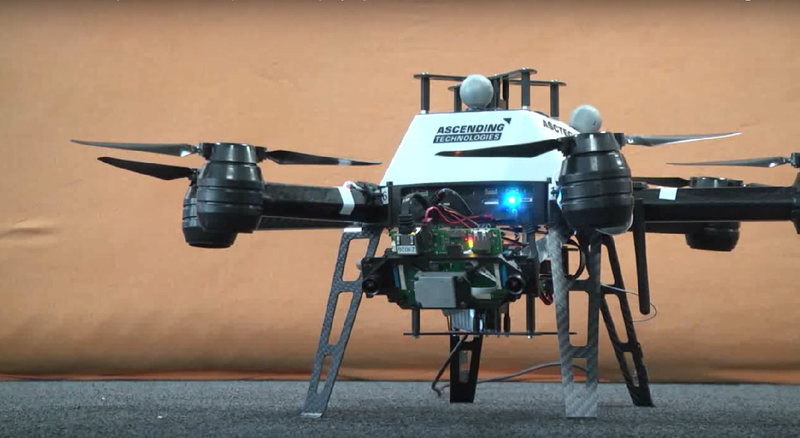 Autonomous exploration of unknown environments corresponds to a critical ability and a major challenge for aerial robots. In many cases, we would like to rely on the ability of an intelligent flying system to completely and efficiently explore the previously unknown world and derive a consistent map of it. On top of this basic skill, one can then work on several tasks such as infrastructure inspection, hazard detection, and more. Our algorithm “Receding Horizon Next-Best-View Path Planning” is a recent contribution towards enabling the key goal of autonomous exploration. It achieves this by sampling finite-depth candidate paths within the environment, selecting the one that maximizes the amount of new space to be explored, and executes only the first step while then repeating the whole process in a receding horizon fashion. By performing multiple iterative steps of this process the space is fully and efficiently explored, and a volumetric representation is derived. Finally, one can afterwards launch a second mission for higher-fidelity surface inspection and more accurate 3D reconstruction of the environment. This research was conducted at the Autonomous Systems Lab, ETH Zurich and the University of Nevada, Reno.